Benjamin Mast, PhD, ABPP, received a 2013 Project Grant for Researchers for his project Opportunities and Barriers in Church-Based Alzheimer’s Care. BM: I am an Associate Professor and Vice Chair in the Department of Psychological and Brain Sciences at the University of Louisville. I conduct research and teach graduate and undergraduate courses on a range of topics including psychological assessment, neuropsychology, aging and multivariate statistics. I am also a licensed clinical psychologist and a board-certified geropsychologist (clinical psychologist specializing in aging). Much of my academic and clinical work focuses on Alzheimer’s disease and other forms of dementia. LI: What core question/concern guided your research project Opportunities and Barriers in Church-Based Alzheimer’s Care? BM: As a specialist I meet with many individuals and families affected by Alzheimer’s or another form of dementia. Although many are people of faith who have been connected with church communities for decades, they often feel disconnected and sometimes even feel abandoned when they’ve needed their church the most. How can we help people with Alzheimer’s remain connected with their faith and church communities? How can we help families find strength and hope while they care for a family member who is moving through the stages of Alzheimer’s disease? How can pastors, ministry leaders, and church congregations grow in their understanding of people with dementia and serve them well? How does God’s call to remember him and his faithfulness apply to people with severe memory problems? 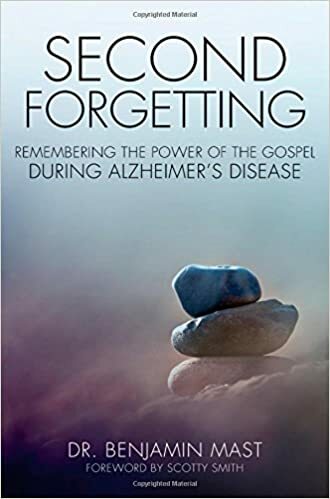 LI: Tell us more about your book Second Forgetting: Remembering the Power of the Gospel during Alzheimer’s Disease. BM: Second Forgetting builds upon the PGR-funded research and includes an up-to-date description of the science of Alzheimer’s disease, a biblical framework for approaching personhood and care, and individual stories of faith in the context of dementia. The men and women I interviewed share powerful examples of how their faith informs (and sometimes transforms) the way they have experienced dementia and caregiving. The book includes guidance and comfort for those experiencing dementia; for those caring for people with dementia; and even for those who are afraid that they will one day develop dementia. Churches seeking to provide better care for individuals and families affected by Alzheimer’s disease (and other forms of dementia) will find practical suggestions about how they can get started. LI: Anything else you’d like our audience to know about your project and your Project Grant for Researchers experience. BM: One of the most rewarding aspects of the PGR project was listening to and learning from the families I interviewed, and then sharing their stories with others who find themselves on this challenging journey. In addition to the Second Forgetting book, the PGR project has enabled me to develop and conduct workshops in churches and faith communities to help equip them to care for and minister to the growing number of people with dementia. In light of the great need in this area, I anticipate that this will be an ongoing aspect of the project that will continue for many years.